How to upgrade my MockFlow account? MockFlow provides pricing plans based on business size from freelancers to enterprises with each plan's cost and features suited for its target customers. 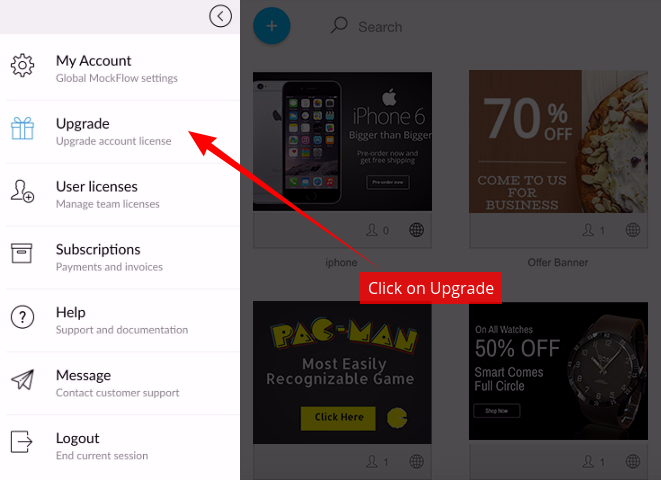 Also to make it simple, each pricing plan includes license for all MockFlow apps.